Epola lapel pins, or semi-Cloisonné lapel pins, brings jewelry-like quality at a lower price. The pin is die struck and filled with a color resin. The resin is PMS color coded and can be matched closely with specific colors. Epola pins retain the glossy look of Cloisonné pins, but without the cost. Die struck pins start as a sheet of metal in the color of your choice, which is then cut using a custom die that is created for your design. This leaves recessed areas in the metal that can be sandblasted, antiqued, or filled with color enamel to bring out the details. The finished pin can then be polished to bring a nice shine to the metal. Die cast pins are perfect if you are looking for raised detail in your pin. These pins are made to look like a 3D cutout of the art. Not only can you finish the pins with either a polished or antiqued look, you can add enamels to highlight features of the pin. Looking for a pin with your company logo on it? Photo etched pins can do that. By printing directly on the pin, photo etched pins give you more flexibility than die cast and die struck pins. These pins are finished with an epoxy coating to protect the art on the pin. 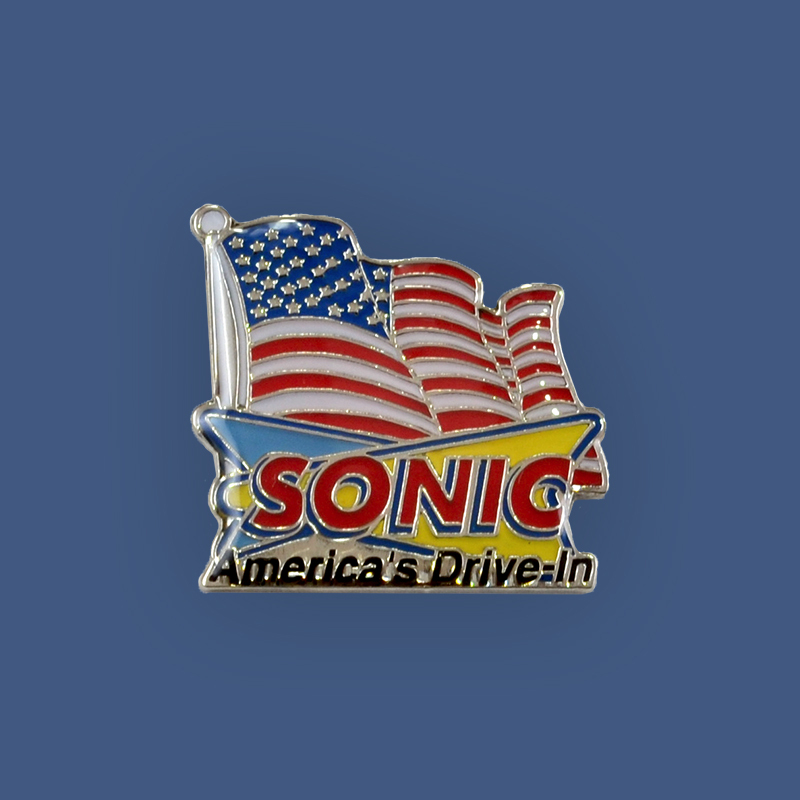 Are you looking for a custom pin, but you need it fast? Photo Dome pins are right for you! By transferring an image onto the pin directly, screen printed pins are produced fast and you can have photos printed onto them.